View Helyn's videos at the bottom of the page. Helyn Marie Sibert, 92, passed away January 20 at the Heritage of Red Cloud. Born April 4,1926 as the only child of Vincent V. and Mary L. Slaby, she grew up on a farm in Smith County, Kansas. Helyn attended schools in Red Cloud and spent her last two years at Lebanon High School graduating in 1943. During the first summer following her high school graduation, she worked in Denver at Gates Rubber. She returned in the fall to teach at Fairview Rural School and spent her summers working at the Hastings Ammunition Depot. 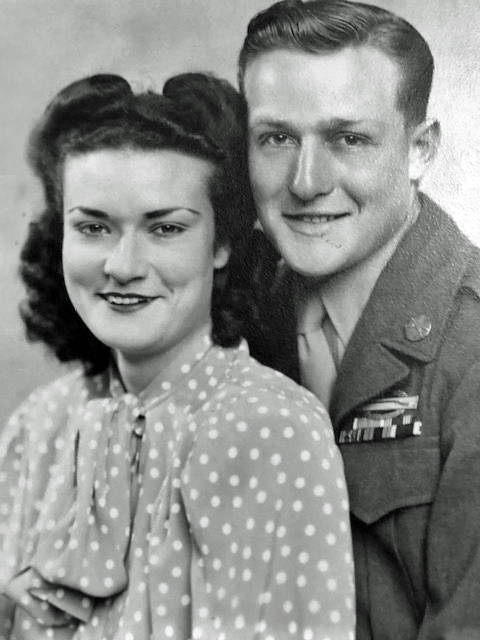 On November 10, 1944, Helyn Marie Slaby was married to Lloyd Wayne Sibert when he was home on furlough during World War II. When Wayne started the Sibert Truck Line, Helyn was involved in the business for 32 years until Wayne passed away in 1979. Together they spent many weekends at Harlan County Dam where their three sons grew up waterskiing and fishing. They enjoyed camping in their fifth wheel, took short airplane trips in their airplane and traveled with the Tehama Temple in Hastings and Mobil Nobles. After Wayne's death, Helyn continued to travel to China, England, New Zealand, Australia, Alaska, Hawaii, Tahiti, China, and Disneyland. 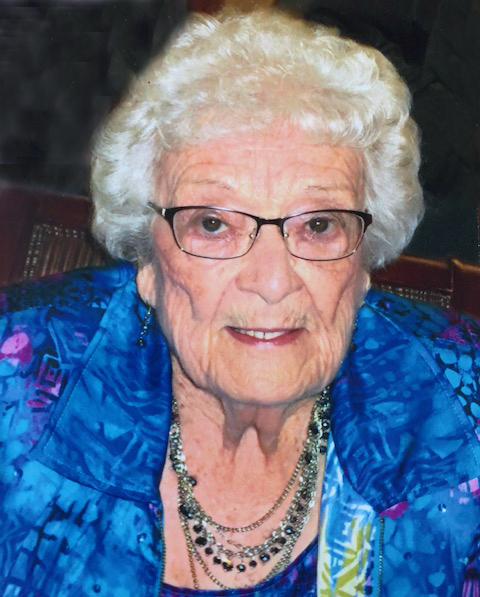 Helyn was a 60-year plus member of the Red Cloud First United Methodist Church, United Methodist Women, Webster County Hospital Pink Ladies, Order of Eastern Star, American Legion Auxiliary and Extension Club. She was also an avid reader and animal lover. She raised poodles and in later years found companionship in her cats. Tommy and Suzie. Family members include her sons Jerry (Lynn) of Red Wing, MN; Jack [Bonnie) of Lincoln; and Jim (Diann) of Hastings. Grandchildren include Tara Sibert Johnson, Rochester, MN; Jeff Sibert, Minneapolis, MN; Nicole Sibert Faaborg, Hood River, OR; Anthony Sibert, Lincoln; Joe Sibert, Glenco, OK; and Evie Sibert, Oklahoma City. Great grandchildren include Sydney and Alex Johnson; Hayden and Josie Faaborg, Piper and Aurora Sibert, and; brother-in-law Frank Sibert and two sister-in-laws Ruth Cline and Bonnie Moore. Helyn was preceded in death by her parents, her husband Wayne and a granddaughter Annie Rain Sibert. Funeral services were Friday, 10:30 a.m., February 8, 2019 at the First United Methodist Church in Red Cloud with Rev. Dan Albers officiating. Interment was at the Red Cloud Cemetery. The family kindly request no flowers. Memorials are suggested to the First United Methodist Church or any organization of your choice.